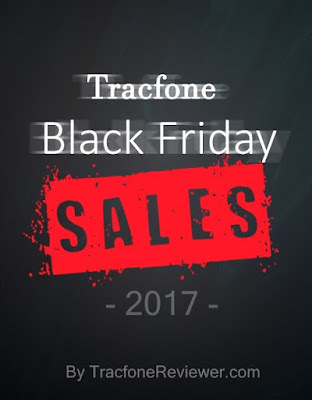 Black Friday and the Holiday season is right around the corner and we've got you covered for the latest deals and sales on Tracfone related items including smartphones, unlocked devices and airtime bundles! Many of the best Black Friday deals are available online, and we've got the best list of cell phones and Tracfone related items on sale. We will continue to update this list as Black Friday and Cyber Monday get closer, so be sure to check back often. Tracfone offers a variety of smartphones and we've got a List of the Latest Tracfone Smartphones to keep up with what's new. Most unlocked phones can also be used with Tracfone BYOP, and you can follow the link to learn more about how that works. If you're new to Tracfone, be sure to visit our Beginners Guide which covers some of the basics of how airtime works and more. Now, let's get to the deals. Here are the Black Friday deals, with a link to the full ad for each store, as well as any specific deals also included. More deals coming soon! Tracfone Samsung Galaxy J3 Luna Pro - $59 ($40 off) plus Airtime Bundle! Tracfone Samsung Galaxy J7 Sky Pro - $119 ($30 off) plus airtime bundle! We are continuing to add deals as we find them, be sure to share any deals you find in a comment below and we will include it in the list. Join us on Facebook where we share the latest posts, deals and information. We also get a lot of great feedback from our growing community. If you are getting a new smartphone, check out our List of the Best Apps for Android. Also take a look at the Best Deal on Tracfone Airtime where we look at which airtime cards are the best deal and why. We hope you this list helps you find the best deal during Black Friday! Thanks for visiting! Winter might be on the way but these new Tracfone codes will warm you up. Each month we collect and share the latest promo codes from Tracfone for our readers to use to get extra airtime for free. These promo codes are usually for a specific airtime card and we have codes listed below for both regular airtime cards and smartphone only cards. Some codes can also be used with any airtime cards of greater value. 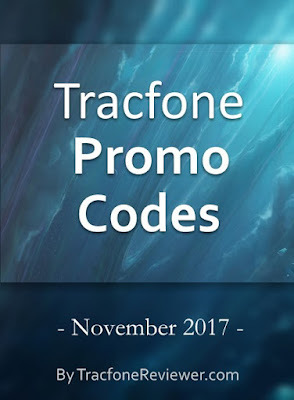 The latest promo codes from Tracfone are listed below, but we also share many more options on our main Tracfone Promo Code page. Sometimes these codes may not work, either they are one time use, or somehow expired, so we suggest to add airtime over the phone if you really want to ensure that you receive the bonus minutes. Keep up with the new phones from Tracfone by visiting our Latest Tracfone Cell Phones List. Let's see the codes for November! We hope the codes work for you and be sure to leave a comment with which one you tried. If you are not sure which airtime card is the best value for what you need, visit our Airtime Comparison Article which looks at the best value cards for different situations. Or you might be interested in 10 Tips for Boosting your Cell Signal - including several very simple options. Also check out the latest Deals and Discounts on Tracfone cell phones. And keep up with the latest news and information by joining us on Facebook.